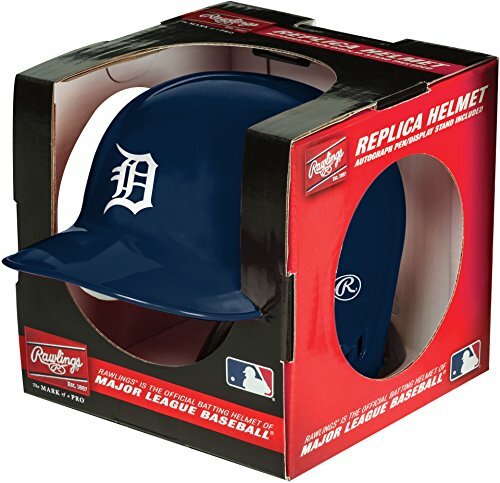 Full size replica MLB Batting Helmet by Rawlings. All helmets are Left ear covered for Right handed batters! 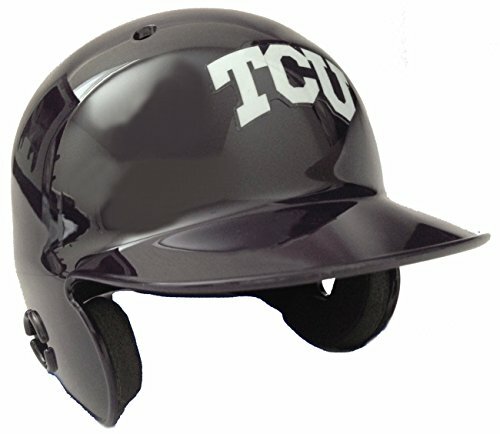 Includes Helmet Stand. 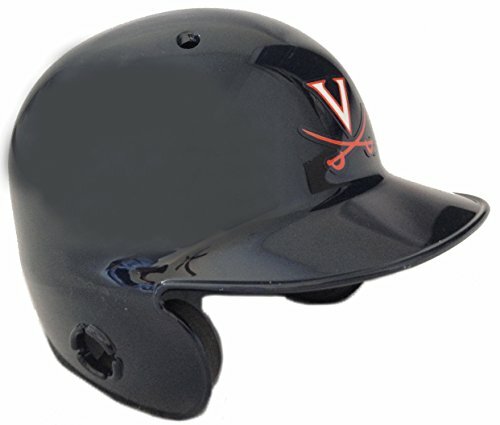 Modeled after the authentic on-field batting helmet worn by every major league baseball player! Note: This helmet has no protective capabilities. 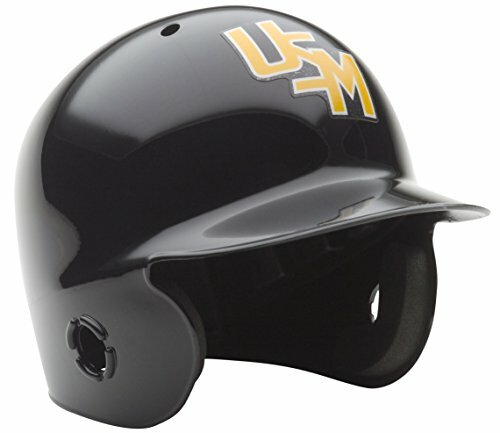 it is only intended for use as a replica helmet and is only to be used for display purposes. Great for autographs! It is a replica helmet, not for protection. Size is approximately 7 1/8. The helmet is NOT recommended for wearing. Individually boxed, stand included. This is a must-have for the serious autograph collector and baseball fan! If you think this helmet looks cool pictured, then just imagine how it's gonna look in your office or game room, or proudly displayed on game day at your favorite tailgate spot!Buy with confidence!!! All domestic and international shipments include tracking information and are fully insured at no additional cost to you! An email containing the UPS/USPS tracking information is automatically sent to you once your order has shipped.This item comes with a 30-day money back guarantee! If you are not 100% satisfied with your purchase for any reason, we will refund your payment. 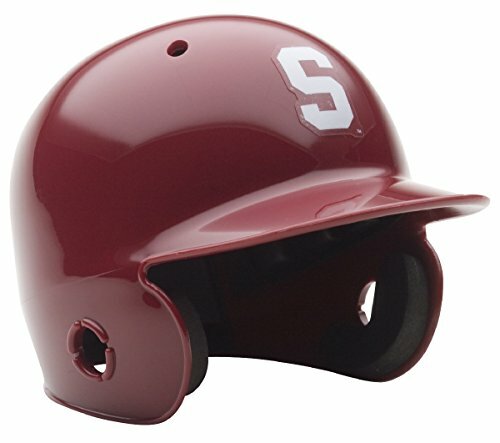 Stanford Cardinal Mini Batters Helmet. 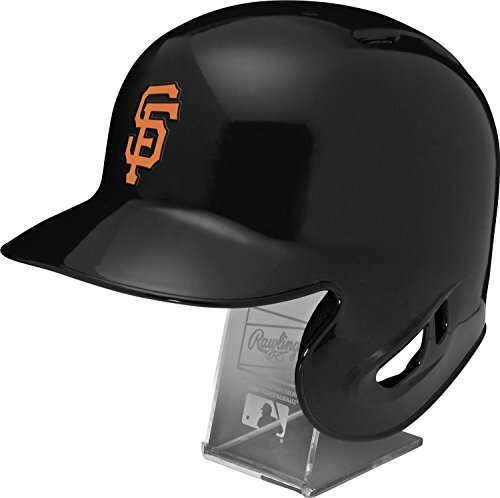 Schutt mini batters helmets are a perfect addition for any baseball fan Perfect item for autographs and collectors. Mini batters helmets are finely crafted versions of the actual helmets. Mini baseball batters helmet with great graphics and team decals. Real replica interior foam pad set. Size 6 ½" (L), 5" (W), 4½" (H) (NOT FOR WEARING).